The natural and organic beauty product industry has become huge so there’s obviously a growing market for it. But how do we know what’s really natural and what isn’t? A lot of natural ingredients on labels sound like chemicals and vice versa. Are companies being entirely honest about what they’re producing? Well these are the very questions pondered by Grace Timothy, writing for Ageless for the very first time. Grace has written for some of the top magazines and newspapers in the country, and I’m absolutely thrilled to have her write for Ageless. The ideas of ‘natural’ – something derived from nature rather than lab-produced – and ‘organic’ – farmed or produced without the use of chemical fertilizers, pesticides or artificial chemicals – appealed (less cancer, more happy monkeys). But without ample chemicals the textures and smells could be a bit rank. Three cancer scares and a baby later, I reconsidered, and thankfully the advances made in the field (pun intended) were sufficient that I’ve made almost a total switch. They’ve even managed to create lipstick that doesn’t look a thing like clay, arguably the most exciting step forward. 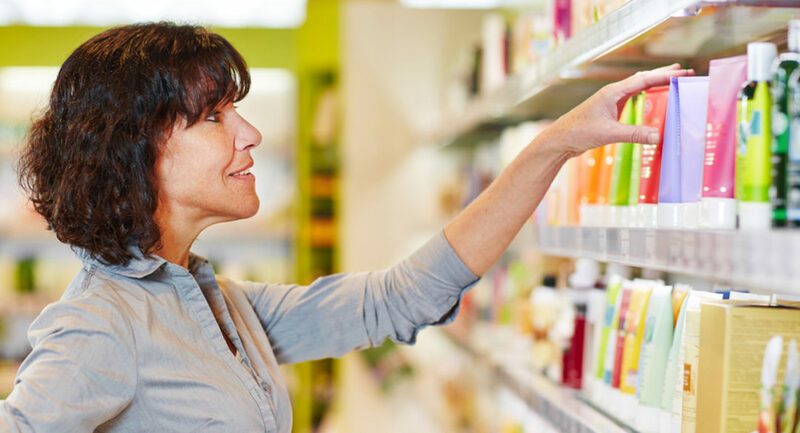 This is why various independent bodies sprang up through the noughties to help us find the truly organic and according to Organic Monitor, 43% of consumers now look for a certification symbol when buying a natural or organic product. Then there’s the cost of the certification process, which can preclude small start-ups and suppliers of organically-farmed ingredients. Simply put, it’s about products that are as natural as possible, with as few chemicals as possible, both in terms of ingredients and production. But it depends a bit on who you talk to as to whether this is definitely a good thing in skincare terms. Some experts insist that certain ingredients or chemical processes are key to preserving the product whilst others believe efficacy will be reduced if you take out some of the lab-produced actives. I look at it on a case by case basis – bearing in mind it’s thought that we absorb 60% of what we apply to our skin into our bloodstream. Overall, the ingredients most ‘natural’ certifications forbid are phthalates, parabens, sodium laureth sulphate, mineral oil, PEG, Formaldehyde and Methylisothiazolinone. Check out contentbeautywellbeing.com for a full list of ingredients you don’t want to see if you’re going au naturel. If you’d rather use certification to help you shop, the new COSMOS label combines the European standards of Soil Association (one of the highest requirement seals), BDIH, Ecocert and ICEA in one badge, the theory being you only need to seek out the COSMOS logo from now on. But it’s worth looking at the standard each separate body requires if you’re going to be really stringent, as they often require a different level of organic ingredients for certification. Or, you could just look for NATRUE. Set up by a group of brands – among them Dr Hauschka – in 2007 to provide a stricter standard, with independent certification teams requiring all products be 100% natural and naturally produced, and then either 70% organic or 95% organic. The USDA [US Department of Agriculture] also requires a very high level of at least 70% organic ingredients. Tata Harper is one of the first brands that blew my mind despite the EcoCert mark which I assumed meant a compromise on efficacy for the sake of bunnies everywhere. This mask has earned cult status amongst the most discerning product junkies for a reason – it’s like a full-on beta-hydroxy peel without the downtime, just soft-to-the-touch skin. This is one of the best handcreams I’ve ever tried regardless of the fact it’s mostly natural and organic, and free from parabens, petro-chemicals and steroids. But there is something comforting about putting something chemically-low on the hand that rocks the cradle, especially if you suffer with eczema. It’s just awesome, even the concept of AGE CONFIDENCE rather than the usual ZAP THOSE PESKY WRINKLES AND NEVER AGE AGAIN tag. Silky, soft and never greasy, this is a joy to use. I love using products which use natural ingredient, Its feels as if I am connected to nature and teh stuff which I am using comes from nature too. I am very skeptical about using artificial ingredients, However you cant run from them. But as far as my beauty routine goes, I try using as much natural products and remedies as I can.